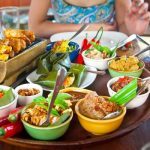 If you have gone so far as to book your Bali villas accommodation, flights, and tourist activities, then why not check out the food you’re going to be eating? After all, if you are looking to experience a new culture, you can’t seek out food you eat every day. Instead, you need to eat what the locals do. Here are a few of the many stand-out dishes you will come across and consume in Bali. If you are a huge banana fan, then you will jump for joy when you find out that Balinese locals are too. After all, you can’t expect not to be when they grow in abundance! When you visit Bali, you will find that many varieties grow in the area, all of which can form a dish known as Pisang Goreng. Pisang Goreng is more of a dessert than a dinner, consisting of fried bananas, honey, flaked coconut, and vanilla ice cream. Sate is the perfect Balinese snack and one you are bound to enjoy. Sate is chicken, mashed up then combined with an array of delicious and vibrant spices. It is then put on a lemongrass stick and barbecued. While it’s not going to fill you up, it can form part of a meal or as a snack as you make your way around the roadside markets. While you might be able to get Nasi Goreng at a takeaway restaurant in your neighbourhood, it’s possibly nothing like traditional Nasi Goreng in Bali. 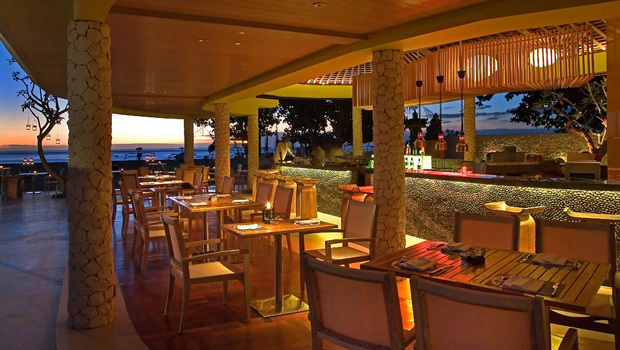 After settling into your Bali villas, why not take a trip to a local restaurant and try it out? Nasi Goreng is the same as Mie Goreng but Balinese use fried rice. Normally, it features noodles. Many Balinese eat Nasi Goreng at any time of the day – including for breakfast. Most people enjoy the shopping opportunities in Bali when they go there for a holiday. They stock up on clothes and accessories for themselves and their friends. They may even buy jewellery or small items for their home. But many people who visit Bali take the opportunity to buy nice Balinese furniture, in particular wicker outdoor furniture. The only trouble is that it is much too large to bring home with them, which means they have to endure the hassle of going through the importation process themselves. 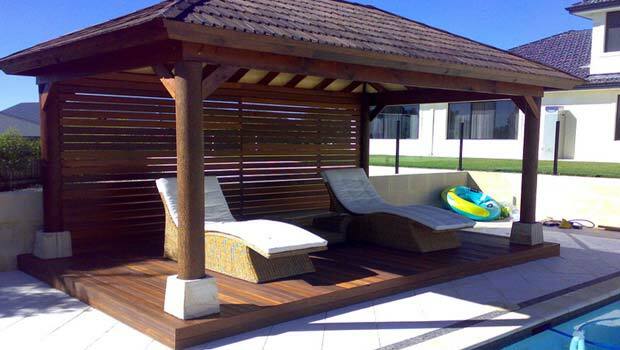 If you have seen some lovely, must-have wicker or boat wood furniture there is no real need to become an importer; you could just visit one of the many furniture stores in Australia that specialise in Balinese alfresco furniture. There you’ll find furniture that is just like what you saw while on holidays. If you have gone to Bali on holidays you will surely have fallen in love with this amazing part of the world with it’s warm climate and friendly culture. You might even have thought about starting up a business of some kind in your favourite location, since there are many advantages of doing so. You would need to advertise it online. If so it’s a good idea to have your web design done by an Australian seo company so the web designers can aim it at Australian customers. Digital agencies from Australia that have some knowledge of Bali will be the best people to get your website up and running. You could even use your website to sell goods from Bali on online as well as selling from your shop, if that is the kind of business you decide on. Bali is a wonderful place to go for a holiday with all the amazing sights to see and things to do. There are monkeys and temples in the jungle, amazing beaches, lots of shopping opportunities and the longest waterslides you’ll find anywhere in the world, to name just a few. 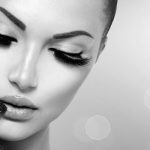 But is Bali right for Botox treatment? 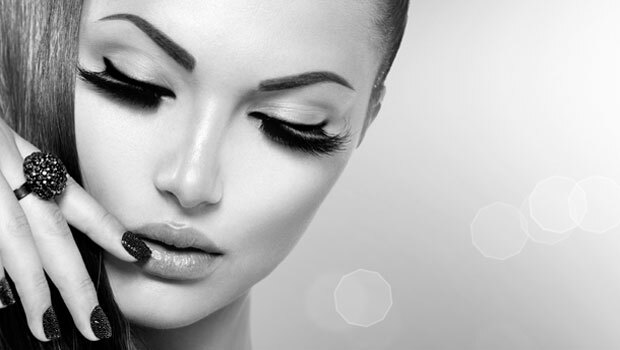 If you choose an Australian cosmetic surgeon for your Botox, you can be sure they have had the proper training. You can’t always be sure of this when you go to Bali – or Thailand – for treatment. 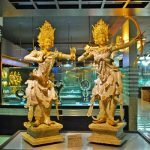 If you want to immerse yourself in the culture of Bali while you are there, visiting some of the museums will help you to find out about its history. Once you’ve settled down in your Canggu Villa and had a restful night’s sleep you’ll feel ready for anything. Visiting a museum will educate you on the history of Bali and add an interesting spot to the day. 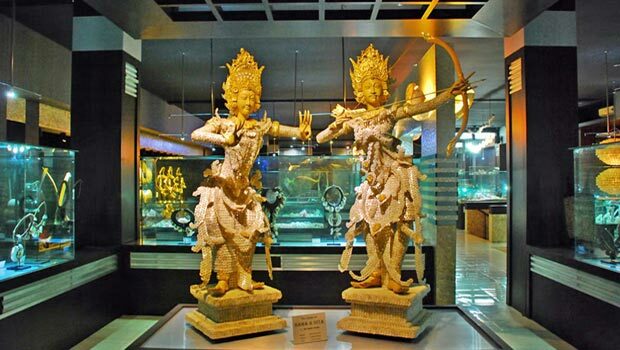 Here are some of the different museums in Bali. We usually think of Bali as one of the most popular places to go for an overseas holiday because it offers access to a different culture, an exotic location, friendly locals and affordable accommodation and other costs. But when it comes to drug rehabilitation, Bali as a destination is also becoming a popular trend – often for much the same reasons. The monthly cost of drug rehab in Australia is totally unacceptable and quite impossible for the ordinary person to afford. 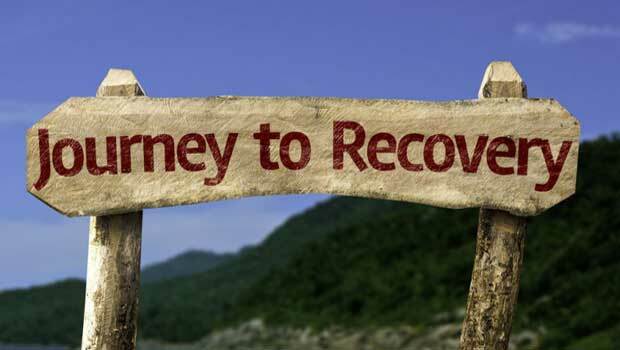 An addict has nowhere else to turn if they want to access the kind of rehabilitation that really works. 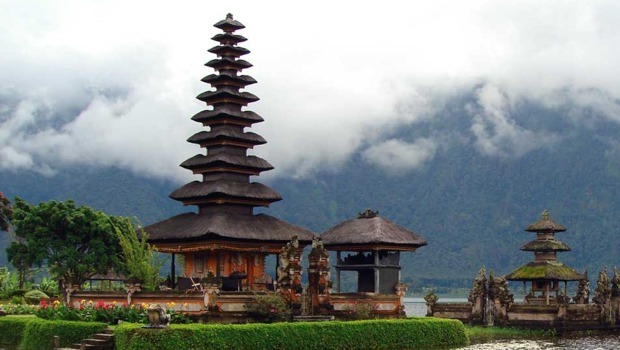 If you are considering starting a business, why not start it in another country such as Bali? Bali is an extremely popular tourist destination for Australian holidaymakers, who buy gifts, clothing and food while they are there. And of course, they need accommodation, so a business in any of these areas would surely be successful, especially if you hired an Australian digital agency to design your brand new website and give you advice on web design and SEO. This would ensure that the website was attractive to and understandable by Australians who were researching for details of the things they could do and the places to see on their Bali holiday. Australian web designers are the best people to create a website to promote an overseas business to Australians, so your business would be in good hands and you would not need to pay very much – if anything – for any other form of advertising. 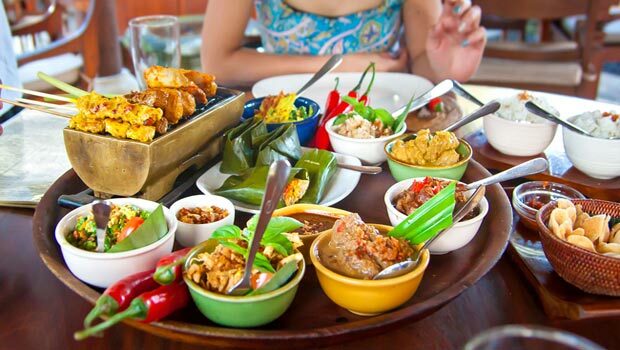 From fine dining, a chic warung to high tea, the Balinese Cuisine is a haven for foodies. Coming from humble beginnings this now bustling restaurant originally started as a road side warung or food stall at Kuta back in 1969. Made and her family cooked up traditional Indonesian meals to serve to the locals. Over the years expats and tourists got wind of how good the food was, and gradually over time the warung has now morphed into a foodies hotspot serving up authentic Indonesian coupled with a tad of western, Japanese and Thai influence – you will find everything from guacamole to gado gado. Location: Jalan Raya Seminyak, Kuta, +62 361 732 130; Jalan Pantai, Kuta, Ph. +62 361 755 297. Bali was once the world’s best-kept vacation secret, but thanks to it becoming more affordable, more and more people are heading to this beautiful getaway. That means it has also become much busier so if you are hoping to find that relaxing, quiet, tranquillity that once encompassed all of Bali, there is some good news – Bali still has such places. 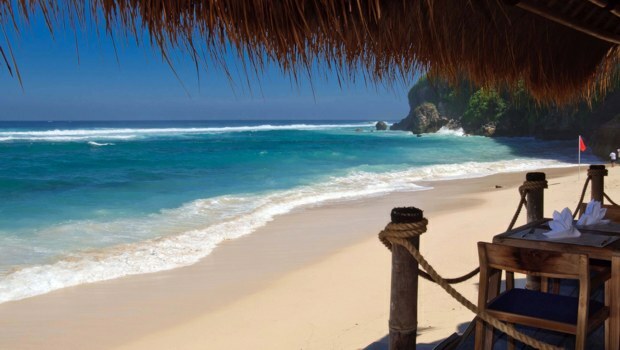 One of those places is Nusa Lembongan the hidden Bali getaway worth exploring. This pristine location has plenty to see and do and some of these are very cool! Simple thatched roof housed scattered along the beach, seaweed farms throughout the area, which are the main economy along with the growing tourism industry. You’ll experience hospitality second to none here, where the locals are ready to help a weary travel with nothing expected in return. 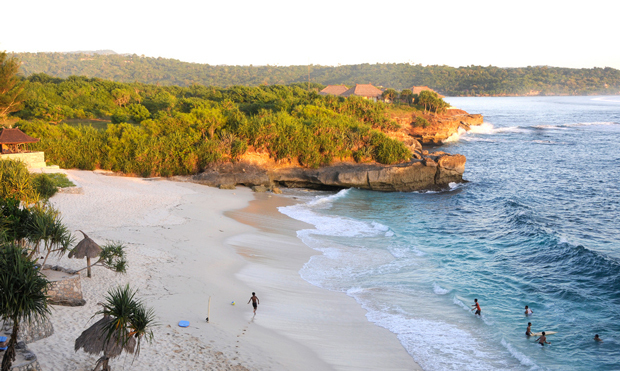 Nusa Lembongan is the perfect introduction to the beauty of Bali. The area has quickly become known for the abundance of manta rays in the area and occasionally mola molas. We can’t go on living in the stone ages, so we have to face the fact that the web, somewhere along the 2000’s, became more of a visual medium than a text-based medium. So, while good ol’ text is still relevant (being the only thing a search engine can find effectively so far), video shows off your product or service like no other kind of content can. 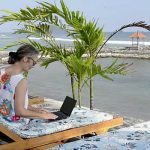 If you’re maintaining a website about Bali tourism, you’ll want to post a video or two showcasing all that Bali has to offer. But you’re in luck! Bali is one of the most delightful regions in the world to view on video. Your only problem will be in choosing from all the options…or web designers (if you haven’t got one already). #1 The Beach. Obvious choice here, since Bali is surrounded by one. 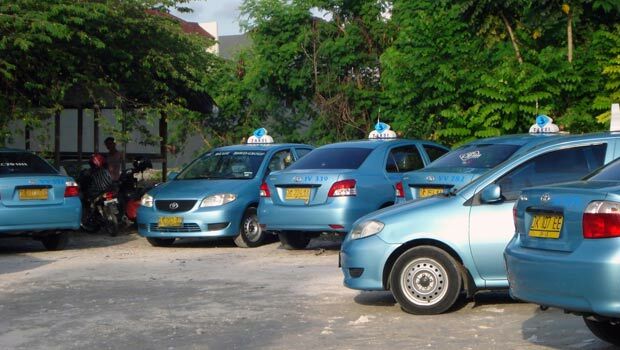 You want to avoid the overcrowded areas like Kuta Beach or Denpasar. Try one of the less-traveled beaches during the off-season, so the camera can show the unspoiled nature. Catch a fisherman or seaweed farmer in the distance. catch some dolphins jumping out of the water. 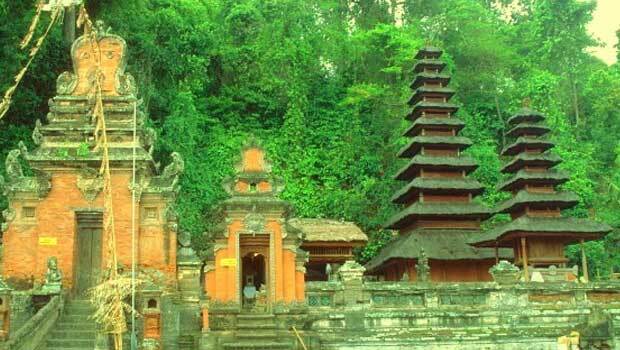 Bali is replete with numerous attractions that bring in tourists from all corners of the globe. One cannot afford to keep off from this amazing Southeast Asia Island. You never have to worry about the security since it is excellent, while the infrastructure is top-notch, and is comparable with what you would get in the West. Moreover, if you listen to Easy Bali Villas, villas and attractions here are much more affordable, which is why more and more people flock here across all seasons. It’s a normal practice for many people across the world to spend their holiday’s in hotels, since this is the norm. 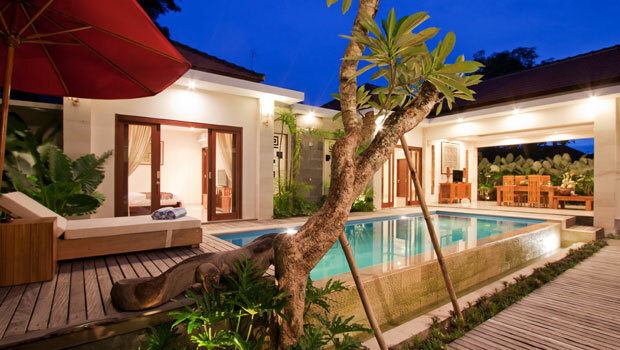 On the other hand, you have a wide variety of private luxury villas in Bali, fully serviced, and offering close proximity to the sea for maximum entertainment. In Bali, you will find top of the range condominiums, amazing vacation rentals affordably priced to suit every taste and pocket, while maintaining their luxury status. Additionally, most properties allow you to book your vacation rental or luxury villa via the internet from the comfort your home. Bali is the home of surfing in Indonesia. 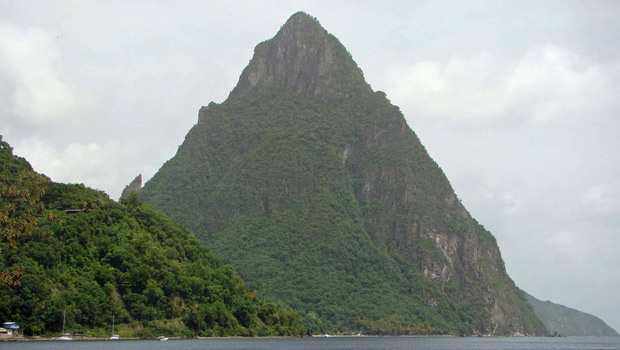 This is where surfing first started in this country and till date this remains one of the top surfing destinations. The geographic location and the conscientious efforts by the Indonesian government to promote the island as a tourist destination mean that you probably have the perfect destination to enjoy surfing in Bali. There is a reason why Bali is so popular for surfing and it is the natural gift that this island has. The seas near Bali create the perfect waves that make for ideal surfing. The long waves that curl up perfectly give even the more experienced surfers the thrills of surfing out in the ocean. In fact, the discovery of these fantastic waves in the 1970’s was what put this rustic island on the world map as a good tourist destination. Within a few decades, Bali has grown and evolved into a leading spot for surfing. Brides Magazine chose reputable Virtuoso to decide where the top honeymoon destinations were. Collaborating with the revered travel network, Virtuoso, Brides magazine was able to have access to 7,200 elite travel specialists, questioning each as to where they considered the best destinations for newlywed couples. Brides Magazine took advantage of Virtuoso’s more than 60 years of travel expertise. Their survey decided that Italy, French Polynesia and Maui were the three top destinations, but wait… because Bali was also listed as a top honeymoon destination. I mean as prestigious as being in the top three might be, you don’t have to be there to be great, and Bali is certainly a place newlywed should consider travelling to for their honeymoon. 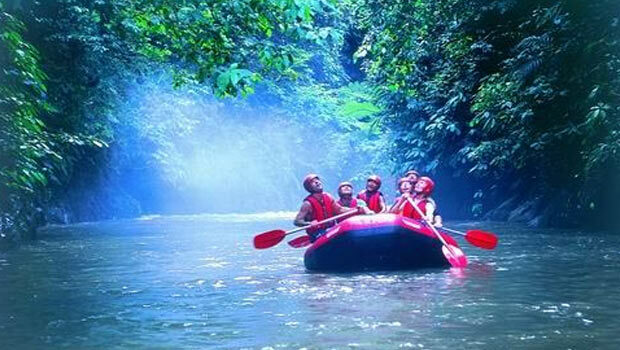 One of the most spectacular outdoor adventures you can experience in Bali is a white water rafting trip. These are views like no others as you take in the amazing panorama of the shorelines and area surrounding you. Combine that with the fun of riding the rapids and you have the makings for a perfect adventure. There are two famous rivers in Bali where water rafting takes place. The Telagawaja River in Karangasem regency and the Ayung River in Ubud. Both offer an excellent white water experience and the most beautiful scenery for you to enjoy – be prepared to be amazed. Bali has long has a reputation for holding some of the most beautiful traditional weddings in the world. You won’t soon forget a traditional Bali wedding if given the opportunity to attend. * Memadick – The boy’s parents and his family show up at the girl’s parents and respectfully ask for their daughters. According to Bali Travel News the Ulun Danu Beratan tourist attraction received a national aware in 2012 in the event of Cipta Persona Award (CPA). This was an exciting time for them. Chairman Ulun Dan Beratan Management, Wayan Mustika and the Head of the Tabana Culture and Tourism Agency Wayan Adnyana received the award. 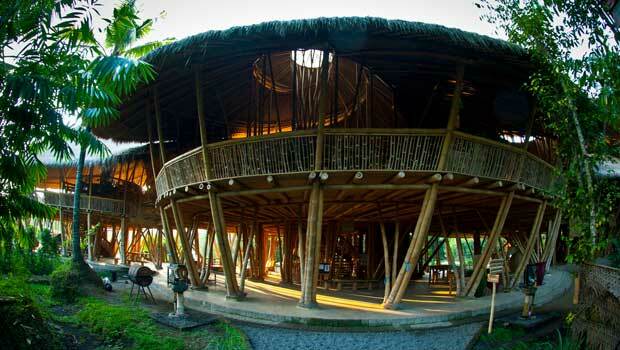 You can find the attraction at Candi Kuning Village, in the Baturiti sub-district. You should definitely take the time to visit if the opportunity arises. 33 units of souvenir shop, opened international restaurant were relocated and constructed, along with an expanded parking lot an amazing garden and a playground for children. 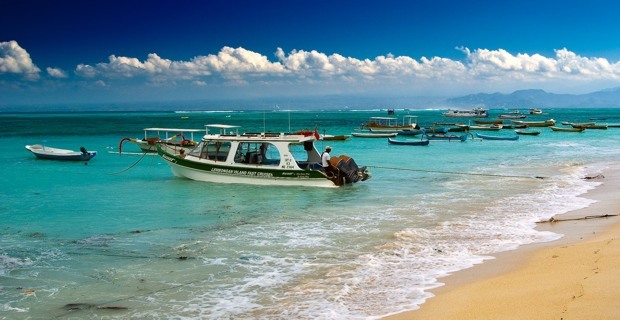 According to Indonesia News Bali is set to reach their target goal of 3 million foreign tourists for 2012. In 2011 Bali had 2.7 million foreign visitors and this year those numbers are growing. Then again it should not really be no surprise since Bali really is one of those places that are high on the list of desirable places to visit. Stakeholders are sure that Bali will be able to increase the number of foreign visitors by at least ten percent in 2012, even with the gloomy state of world’s economy. 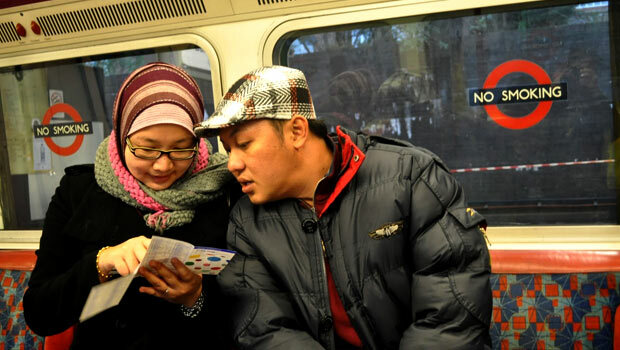 Australian tourists continue to be the main source of foreign visitors, totaling nearly 30 percent of all foreign arrivals, when China next making up 9 percent of tourists; then Japanese tourists. However, because of difficulties with the economy and the major earthquake and tsunami disaster during 2011 they have dropped to 7 percent. According to Indonesia Point, tourism to Bali continues to increases. It has always been a popular spot to visit because of the fabulous beaches and fantastic temples. When you vacation in Bali, you know that it will be a memorable vacation. Tourism is actually one of Bali’s main industries. Throughout the year there are culture affairs going on. 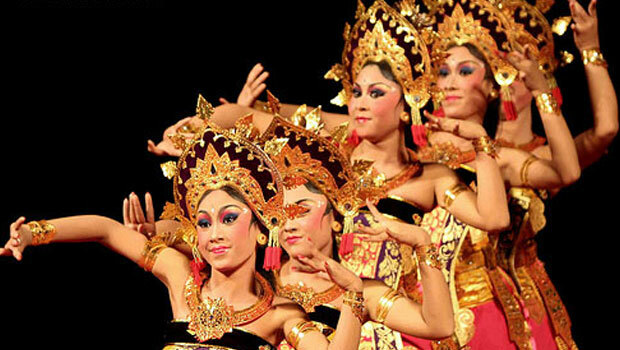 Chances are no matter when you arrive in Bali, you will discover some type of culture event to participate in. After all, they are an important part of Bali. There is almost something occurring every month. Tourists from Australia, the United States, Canada, and England find Bali an appealing destination. Bali Calendar is a great site to see exactly what is going on in Bali at any given month. I found it very helpful in vacation planning to Bali especially if there is something that specifically interests you. Imagine it- at a height of about 35 meters, surrounded by tropical trees, and the roar of the waterfall – that’s Gitgit Waterfall and it is one of the most beautiful tourist destinations in northern Bali. Not only will the waterfall take your breath away, the stunning surroundings are what memories are made of. In the rain forest are so protected areas and this is where you will often see the wild monkeys on their way to the waterfall. They are really quite amazing to see. Do be sure to incorporate it with some of your other activities in the area. Bali has some of the most stunning natural scenes to share with visitors. Sometimes we find ourselves so busy with the ‘things’ that Bali has to offer such as the temples, that we forget top stop and enjoy what nature has to offer. Now, this is the kind of nitty-gritty travel information that you don’t find every day. When flying in and out of Bali (or anywhere else in Indonesia) to and from your luxury villa vacation, here’s some low-down on airport taxes. They’re mostly too small to make a serious dent in your budget, but they’re still of concern to the student traveler and whatnot. Incidentally, have you noticed how essential airports are to Indonesia? Yeah, all those islands, and they can’t just blow out a bridge in between everywhere, you know. Yeah, that’s what does it. We wouldn’t be surprised if a monopoly forms in Indonesia someday among the airports. It’s very exciting that the Bali Culture Officeis making a comprehensive documentary film on Pura Besakih, which is considered to be the mother temple in Bali. You will find Pura Besakih on the slope of Mount Agung in Karangasem regency. After all, this is one of the most popular destinations by tourists headed to Bali. “We are now conducting research and studies on Pura Besakih to get insightful coverage on the temple,” said I Wayan Dauh, head of the office’s film and licensing. Pura Besakih is an absolute must to visit. It signifies the Kingdom of Balinese Hundus oneness. There are numerous puru (temples) in the Besakih complex, which is massive. Many tourists guides mention 28 temples although some say as many as 38 temples exist there. Golfing is seen worldwide as the leisure sport of the elite and successful. 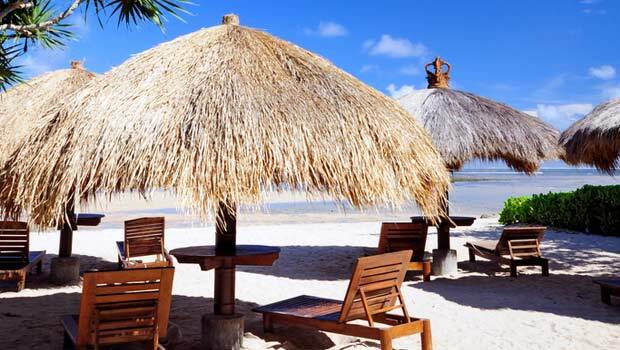 Bali is the exotic vacation destination seen worldwide as the place where all the high society people vacation. So if you combine the two, you just might need to do so while sporting a top hat, monocle, and perhaps the mark of a truly eccentric millionaire, such as a pet toucan on your shoulder while you’re lining up your putt. Bali West National Park is nature conservation made up of a pure ecosystem that is under the management of a zone system. It’s purpose is tourism, recreation, and education. It’s definitely a must see with its unique ecosystem, beautiful panoramic views, and fresh atmosphere. It is considered one of the top tourism destinations so make sure that you take the time to get there. You will find Bali West National Park on the west side of the island, about a four hour drive from Bali International Airport, and close to Gilimanuk Port. Some of the park is in the Grokgak sub-district, Melaya sub-district, Sigaraja regency, and Jembrana regency. You should not have any trouble finding the park as you just need to follow the main road to Singaraja town then to Gilimanuk Port or depending on where you are the main road may take you straight to Gilimanuk Port. When you’re planning a vacation trip to Bali, you won’t want to miss the Top 16 Bali Vacation Experiences, produced by the Lonely Planet publishing house. Owned by BBC Worldwide, Lonely Planet is the largest travel guide book and digital media publisher in the world. Pulau Menjangan scuba-diving. Picture a tropical fish tank owned by God himself. Balinese dancers. These are a major form of entertainment in Bali, raised to an art form the way Germany has opera and England has rock concerts. 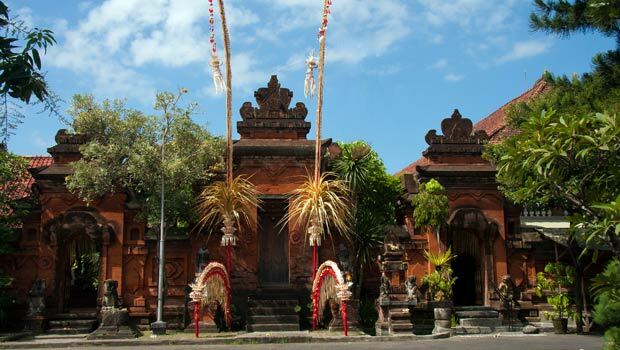 The proper name for a Balinese Hindu temple is “pura”, but not all temples in Bali are Hindu. However, Hindu temples in Bali are still the most-visited, as Bali was originally a mix of Hinduism and animism before the Muslim influence arrived. Bali is also called “the island of a thousand puras” because there’s so many of them. They’re also a huge tourist attraction. 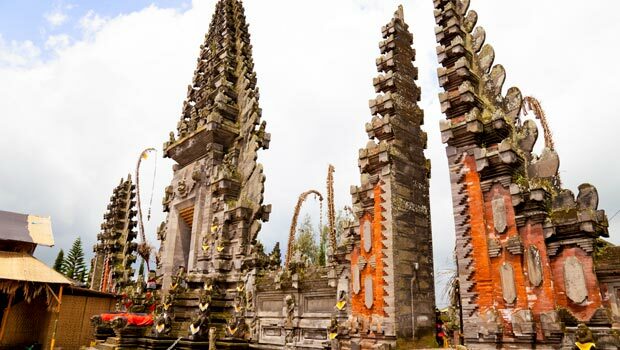 Mother Temple of Besakih – This is the biggest and most important pura in Bali. The maze of pagoda-style rooftops is staggering. It’s also situated on the slope of Mount Agung. Eco-tourists looking for a unique nature experience would be wise to consider a visit to West Bali National Park, located on the western-most tip of the island of Bali. Here’s just of one many sites offering guided tours. 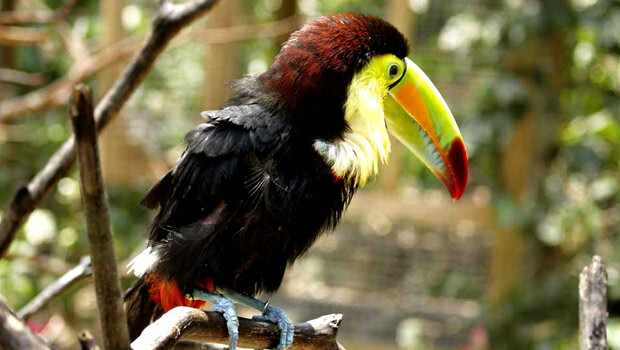 West Bali National Park has everything you could hope for in a tropical park. It is home to no less than four dormant volcanoes, mangroves, monsoon forests, dozens of birds including the snowy-white endangered Bali Starling, megabats, leopard cats, the crested serpent eagle, and dozens more exotic species besides. There are also a host of endangered species of flora here. Naturally, your tour guide will advise you in pursuing the most unobtrusive methods of visiting. If you choose to stay in one of the many great villas while on vacation, and you’re the least bit interested in watersports, you’ve hit the jackpot! Bali has three islands to the southeast which have a reputation as one of the premiere water sports areas of the world. Nusa Penida The biggest of the three, by far. A wild tropical paradise with spectacular bays ideal for freediving, snorkeling, and general water frolicking. 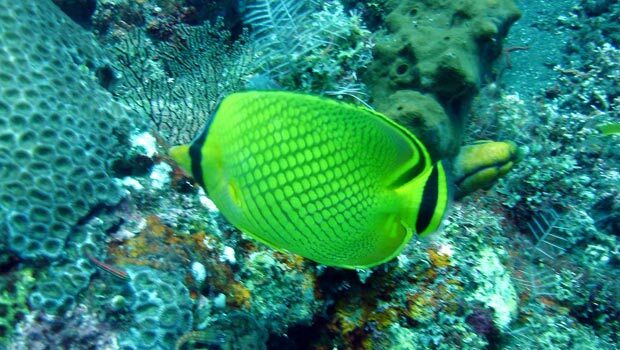 As this site on Bali diving shows, many package tours and guided trips await you. Here’s a video that gives you some taste of the Nusa Penida diving experience – check the menagerie of tropical fish among the coral at 1:00, manta rays at 1:36, and the bizarre, alien-like eel at 6:10. A report this month by Luxury Villas Bali shows visitors to Bali are sometimes intimidated when they realize that there’s volcanoes in the area. But there’s no need to worry! Volcano eruptions are rare in this era – but you should have seen previous eras. Take, for instance, 77,000 years ago at Lake Toba, Sumatra, Indonesia. That was the site of a cataclysmic eruption that affected climate and life forms all over the Earth. This was also pretty much before the damn of human history, when volcanoes all over the Earth were much more active. Indonesia is part of what geologists call the “Pacific Ring” group, where shifting tectonic plates under the ocean floor stimulate geologic activity – for example, the recent Japanese 2011 earthquake and tsunami. But as far as Indonesian volcanoes go, the last major eruption in the region was Krakatoa in 1883, between Java and Sumatra. Remember that the best thing to do if you’re jittery around volcanoes is to stay far away from them – say, by relaxing on the beach around your luxury villa! Tour the mangrove forest along Nusa Lembongan and Nusa Ceningan. This is typically done with a tour guide for the day in an outrigger boat called a “jukung”. It’s a great, different kind of nature tour that will remind people of what they think touring the Amazon or Florida Everglades is like. Cultural – The heart of Balinese culture is definitely Ubud. It’s like the Paris of Bali; it’s alive with museums and theaters, and it’s the heart of arts and crafts culture in all of Bali. Originally, this descends from a tradition where citizens would create crafts, useful items, and objects of art as tribute to the king under their old feudal system. Romantic – This is a tough call, because there’s so many places to choose from in this sun-soaked tropical jewel. But we could recommend Jimbaran. It’s a quaint fishing village by the sea, which features a small number of seafood restaurants and tiki-type cafes. It’s renowned for its spectacular sunsets. 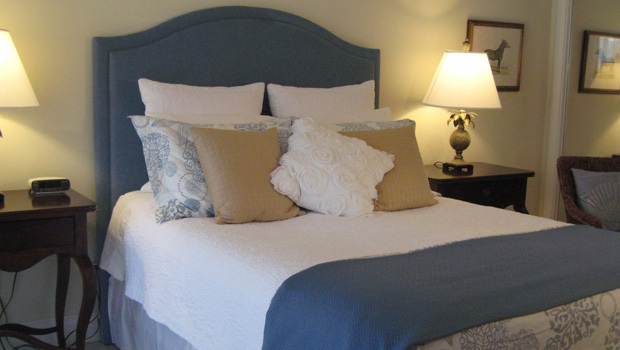 Luxurious – Perhaps you want a more civilized experience without so much a feeling of “roughing it”? Seminyak is your answer! It’s about as upscale and swanky as Bali gets, filled with luxury villa rentals, spas, upscale shopping districts, and frou-frou cocktail bars that serve a fruit salad on the rim of a drink in a coconut shell. While aiming for the biggest city isn’t the principle aim of most tourists visiting Bali, it’s still good to know just a few things about it. Just in case you have to run through it anyway. Denpasar is a major metropolitan area in the south point of Bali. It has a population topping 700,000 at last count, and heading for 1 million soon. There’s another 2 million in the surrounding suburbs. Denpasar has everything you’d expect in a major metroplitan area: malls, markets, restaurants, and an airport. And traffic. It’s also home to the Bali Museum, although many other museums in Ubud and such get more of the spotlight. Climate-wise, Denpasar is as tropical temperature as the rest of the island. Its average temperatures run from 23 to 32 Celsius (74 – 90 F) with rainy season from November through March. 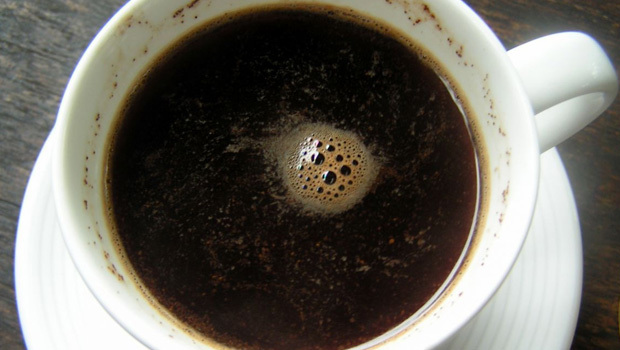 Travelers to luxury villas in Bali love to soak up the local culture and lore, and nothing is so authentically Balinesian as their famous civet-cat coffee. Produced on Sumatra, Java, and Bali, these Sumatran beans are incredibly expensive, but also highly sought after. Because they’re made from civet-cat poop. No, wait, come back here! You see, civet cats eat coffee beans, which are actually the “seed” in the middle of a kind of berry. As the beans pass through the digestive tract of the civet cat, its enzymes break down peptides and amino acids in the beans – this makes them less acidic and more mellow. The beans are then collected and washed, sun-dried, and light-roasted. They sell for $160 per pound, but coffee fanciers staying in Bali might find a bargain from a local producer. Any young student should take advantage of that opportune time of their early 20s to travel the world and see the sights. It broadens the mind, stimulates the intellect, and gives you some great stories to tell in your advancing years. And Bali provides one of the best experiences of all. General Student Info – Actually, it’s also good basics for anybody to know. A post about a nurse’s student exchange program – Just one example of the opportunities there are out there. 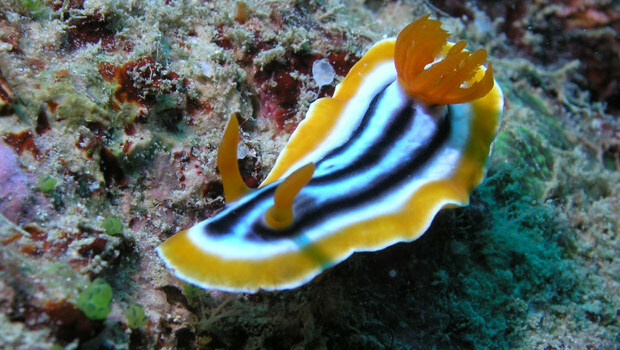 Divers worldwide, both amateur and professional, rank Bali as a sublime world-class diving destination. Miles of unspoiled beaches, amazing diverse coral reefs, an unimaginable menagerie of tropical sea life, and the clearest, most crystal-blue water of the mighty Pacific. Oh, did we mention that even the weather’s perfect for it nearly year-round? 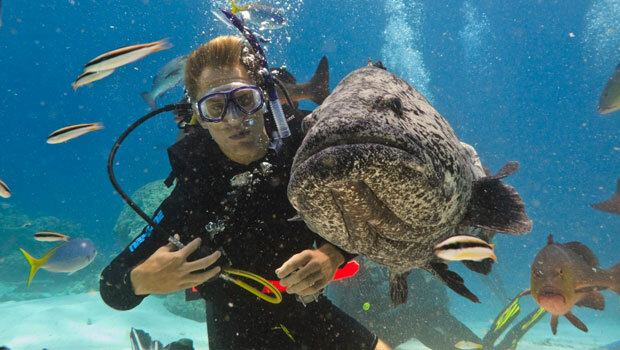 Whether scuba or snorkel, Bali is Neptune’s gift to divers. The concentration of best locations are on the east side of the island of Bali, near either the small south-east islands (Lembongan, Ceningan, Penida), or Tulamben to the north-east. But really, you almost can’t go wrong anywhere around Bali. We recommend staying at a beachside luxury villa, many of which cater to the diving enthusiast. 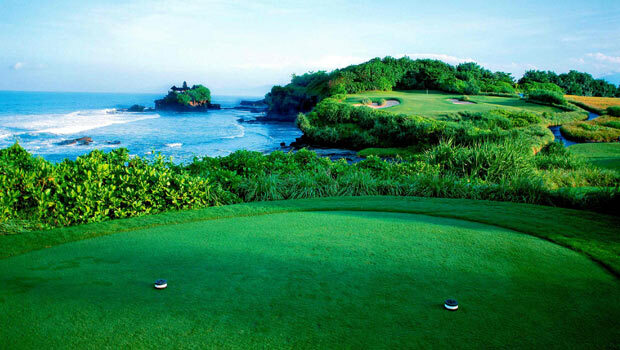 The peninsula of Nusa Dua is also popular. Here, we’ll try to give you a YouTube tour of just some of the awesome diving experiences you could have around this jewel of the Pacific. Be patient and respectful with the locals. Balinese culture, being relatively isolated, is far different from any other region. It has a heavy spiritual influence, and that spiritualism is usually Hindu, which has its own morals and values. At the same time, the pace may be more hectic because of the cultural attitude of “rame”, which basically means “everybody act like bees in a beehive”. At the same time, the pace can seem slower, because everybody seems more interested in socializing than getting any work done. And then there’s the street vendors and touts, who can be annoyingly persistent. The thing to do is to not take any of this personally, and just try to adjust to the pace around you. You’ll never get anywhere by acting like a bossy Westerner and trying to push people around. What could possibly make snorkeling of the coast of a tropical paradise into the clear, sparking, sapphire waters of the Pacific even more fun? How about a whole shipwreck to explore? Bali Villa Rent gives an account of snorkeling amid the shipwreck remains. This is a historic site off the coast of Tulamben, on the north-east coast of the island of Bali. The shipwreck is that of the U.S. Liberty, a United States aircraft carrier that was sunk during World War II, 1942. 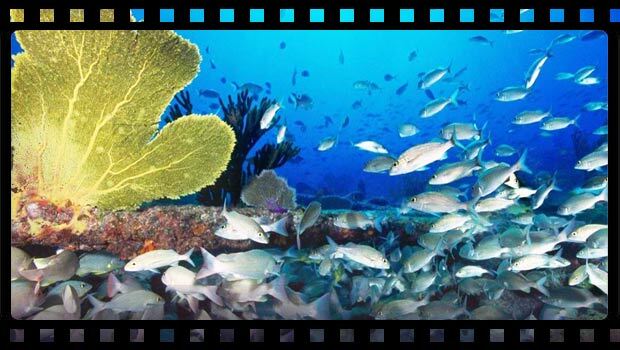 Today it rests a mere six meters underwater, easily accessible by divers, and has now partly merged with a corral reef. Scuttlebutt around the diving community says that October and November are the best times to dive the wreck, which is located a mere few minutes’ swim from shore. Our hearts were warmed at this post about one couple’s experience in Bali after winning a vacation as a prize. This was a well-deserved rest, because it was the couple’s first vacation in 12 years! They stayed at a resort in Nusa Dua and got the pampered massage-and-spa treatment. Naturally, they were thrilled partly just because they didn’t have the kids tagging along. But Bali’s still a great place for kids as well, with the beaches, exotic flora and fauna, and natural beauty everywhere. You’d just want to be sure to pry them away from their iPod and Nintendo DS long enough to look out the window. Ubud is a major city in south Bali which sees some of Bali’s heaviest tourist traffic, and most of them are there to visit the world-famous Ubud Monkey Forest and sacred monkey temple. This is a truly unique experience, shared by some 10,000 visitors per month. 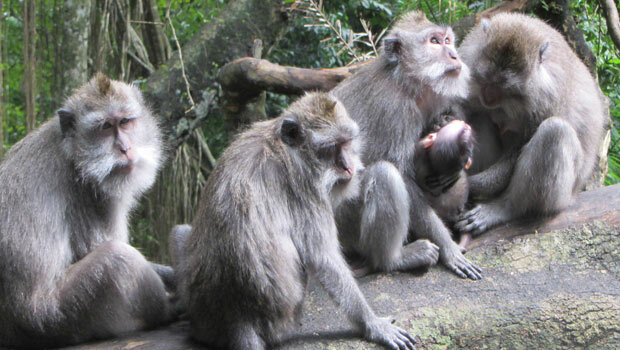 The monkeys are of the long-tailed Macaque variety, numbering into the hundreds. They typically split up into “troops”, lately about four of them, that take turns roving around and interacting with the visitors. Monkeys are not too territorial but they do have a strong sense of social community, so members of different troops occasionally fight each other. Females stay with the same troop for life; males may migrate from one troop to another. 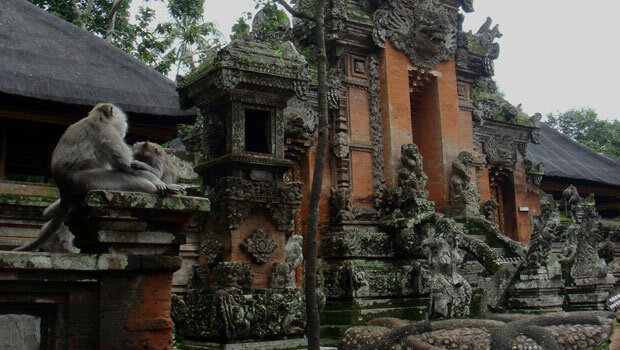 The Sacred Monkey Forest of Bali – Why A Temple? 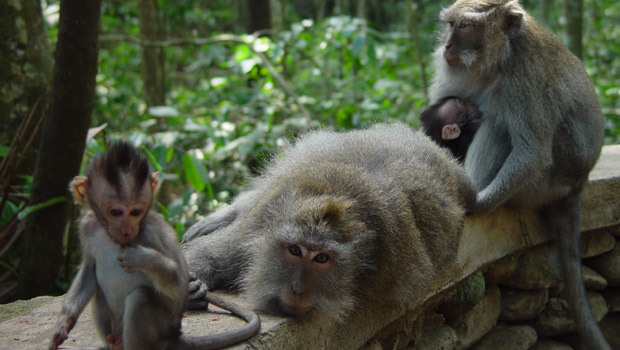 Visiting the Balinese Monkey Forest of Ubud, and the accompanying temples there, is an activity that some 10,000 visitors per month enjoy. But, particularly to the Western mind, the mere existence of a sacred forest, much less the temples, is an enigma. Why build a temple to monkeys, of all things? Do they actually worship monkeys as gods there? Well, no, they don’t worship monkeys per se. But the explanation requires us to dive deep into the Balinese traditions of Hinduism, which is a pretty complicated subject. Balinese Hinduism differs from other forms of Hinduism in that the Balinese mix in some animism, Buddhism, and ancestor worship. They believe in reincarnation and have a caste system. And they believe that how you live in your present life determines what caste and form you take in the next one. Furthermore, they believe that all life forms, animals, insects, and all, participate in this great universal scheme of reincarnation. Today Bali is famous for its clean and pristine beaches along with a host of fun and adventure activities. It is interesting to know that some researchers feel that Bali would have maintained the same charm and beauty even before the Ice Age. In the more recent past, Balinese people have come under strong influence of Buddhism, Chinese culture and later Hinduism. Today, even though Indonesia is an Islamic country, Bali retains its own unique Hindu culture. It is believed that Bali was the final frontier in the mainland and a place was a magnet for human immigration several millennia ago. In the pre-ice age era, being at the end of the mainland, the sheer beauty and abundance of Bali would have attracted early human settlers. In fact excavations have revealed the existence of Java man or Homo erectus in these islands. You’d probably want to soak up at least some of the local culture when you tour Bali. After all, imagine if you bring home some exotic wood-carving of a Rangda and you’re showing it off on the mantel after you get it home, and somebody asks you what the heck a Rangda is. You don’t want to be stumped, do you? Antaboga – The “world serpent”. You know that snake in a circle eating its own tail, popular in logos and tattoos? Rooted in the same myth. Antaboga created Bedwang. How’s the Weather in Bali? Bali is regarded as a tropical paradise, and the climate is the main reason. Year-round temperature ranges from mid-20s to mid-30s C. (68 to 93 degrees F.). This is a generally balmy climate, where snow is almost unheard-of and it’s rare to see anyone bundling up at night in more than a light jacket. At the same time, the hottest it gets is just enough motivation to slap on some sunscreen and grab a cold drink on your way to the beach. The main rainy season is from December through March. However, parts of Bali can still get rain at other times of the years, while the Bukit Peninsula gets hardly any. In June through September, the weather is warm but not too humid, feeling almost like your living room at the coastal areas. Bali is so plentiful in rich attractions and activities that it’s easy to miss the number-one tourist attraction. Could it be the Sacred Monkey Forest and temple of Ubud, or the majestic temple tour of Tanah Lot? No, actually, by terms of sheer numbers, Kuta Beach, in the far southern reach of Bali, draws the most visitors! The district of Kuta is a very well-developed city, just like anyplace in the Western world. Its commercial district is densely lined with shops and boutiques, lined with shaggy palm trees. 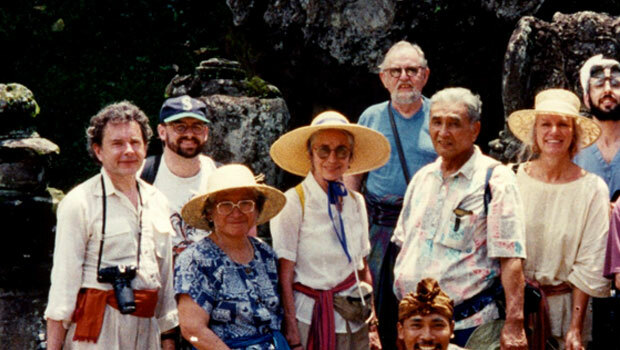 It was the first, out of all Balinese locations, to see the beginning of the tourist boom. 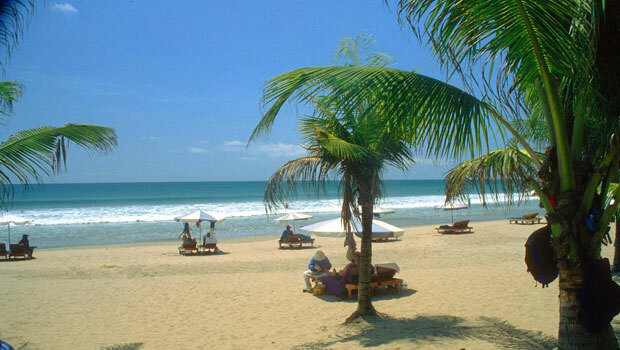 Outside of the main town area, called Legian, there is the suburb of Seminyak, where many emigrants settle. There is also the area Tuban, lined with tourist-oriented businesses as well. 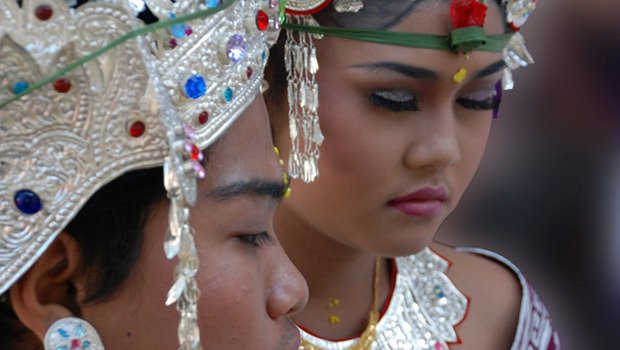 Balinese Dancing Dance ceremonies in Bali stride the line between religious ceremony and deliberate performance art. 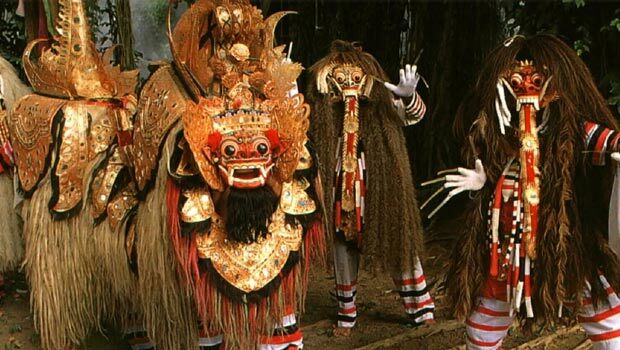 Bali is a very ancient culture dating back to 2000 BC, and their dances have evolved continuously since that time. Like a stage play or an opera, there’s characters and a story, all with the performers decked out in intricate costumes that will dazzle your eyes. Find out the story behind each traditional dance, and the variations from place to place. 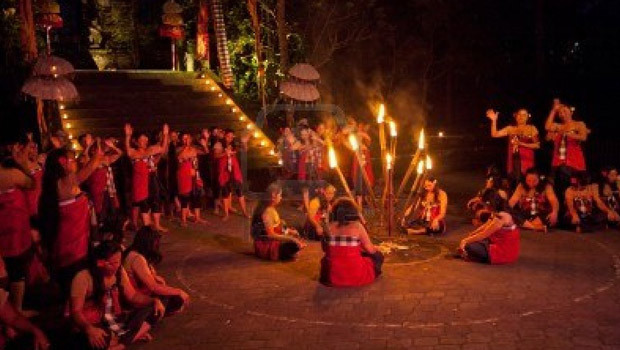 You will be fascinated, and maybe even pick up a few lessons from Balinese beliefs. One good site on Balinese dance here. 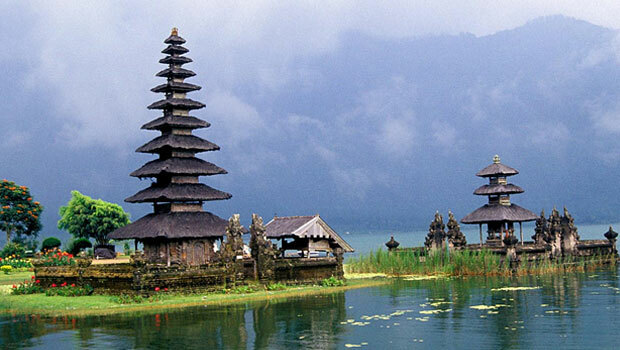 Bali has become one of the most sought after tourist locations on the world map in the past few decades. 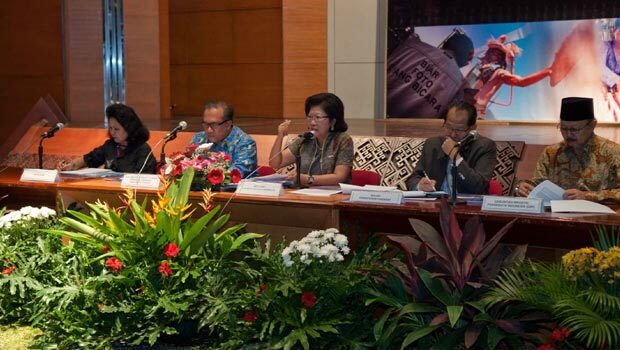 In a recent meeting, the Indonesia Sustainable Tourism Development (ISTD) struck up a plan to ensure that Bali continues to develop as a tourist destination while retaining its eco-friendly green nature. This implies that Bali would continue to remain a great place to spend some time off. 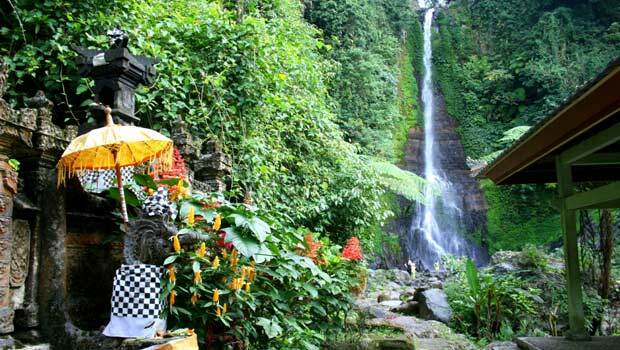 As a tourist spot, Bali offers a wide range of activities and pass times to indulge in. Blessed with pristine oceans and rich cultural history, there is something for everyone in Bali. While planning your trip, ensure that you ear mark the most important places you want to visit so that you are not wasting time picking and choosing while you are there. 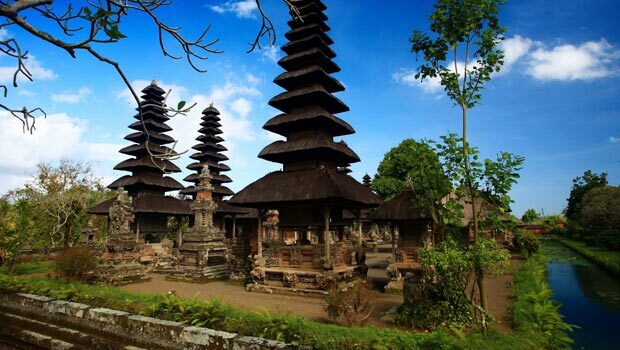 The most popular attractions in Bali include museums, beaches, textiles and art and culture. Hinduism is easily the most complicated religion in history. It appears to be polytheistic, meaning that there’s many gods, but also all gods are said to be one god in many forms, rather like the Judeo-Christian trinity. Furthermore there’s sub-castes of gods; there’s a trinity of Brahma, Vishnu, and Shiva, and then there’s the lesser Vedic gods who resemble ancient Roman / Greek gods in being associated with some aspect of nature. Hindus also believe in reincarnation, and Balinese Hinduism is further complicated by the mixing in of some animism and ancestor worship on the side. There is also a different attitude towards sexuality, tending to view it as holy worship rather than a shameful sin as with Western religions.